Aviation Updates Philippines - The Civil Aviation Authority of the Philippines announced that six airports in Eastern Visayas and Bicol were closed in preparation for Typhoon Ruby (International: Hagupit) that is expected to landfall tonight. 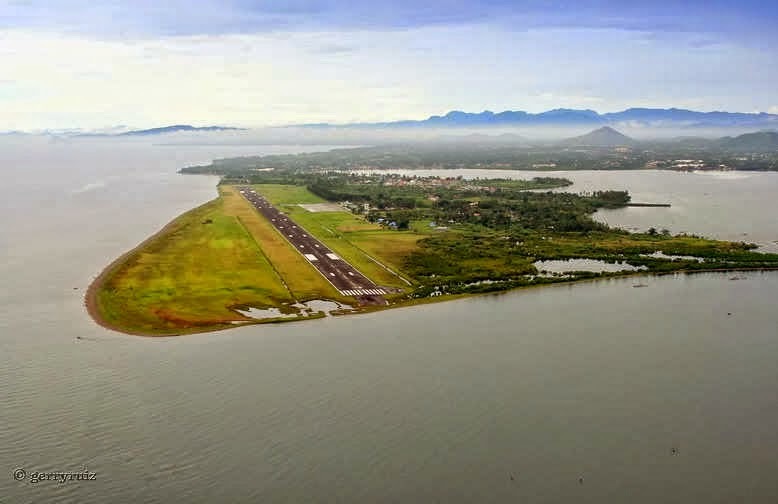 Civil Aviation Authority of the Philippines Deputy Director General Rodante Joya told radio dzBB's Sam Nielsen that airports have been secured for Ruby's wrath. According to Joya, Tacloban Airport, Calbayog Airport, Legazpi Airport, Catarman Airport, Masbate Airport, and Calbayog Airport were closed. He added that airport fire trucks had been moved to a safe place while communication equipment was covered to protect them from rain. Before returning to normal operations, the airport will be inspected by CAAP to make sure that it is still safe for planes to land. Parts of Bicol and Eastern Visayas are under storm signals due to Ruby, which is expected to make landfall on Eastern Visayas before dawn Sunday. The Department of Transportation and Communications said that it cancelled round trip flights to Masbate, Surigao, and Catarman in Northern Samar earlier today.